For the tenth time in a row, AppRiver, based in Santa Rosa County, has made Inc.’s 5000 fastest growing private companies list. The list presents a unique look at the most successful companies within the American economy’s most dynamic segment—its independent businesses. The Inc. 5000 are determined by their growth rate over a three-year period. With a growth rate of 65 percent, AppRiver, which ranked 4204 on this year’s list, joins a small, elite group of other fast-growing U.S. companies that have been consistently recognized by Inc. magazine. 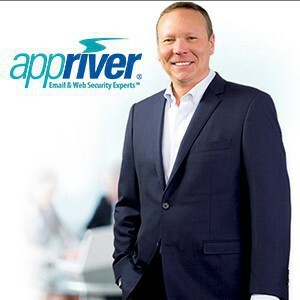 AppRiver is the only IT service company in Florida to be included at least ten times in the list’s 35-year history, and one of only 12 IT service companies ever to achieve that milestone. The 2016 Inc. 5000 is the most competitive crop in the list’s history. The average company on the list achieved a mind-boggling three-year growth of 433 percent. The Inc. 5000’s aggregate revenue is $200 billion, and the companies on the list collectively generated 640,000 jobs over the past three years, or about 8 percent of all jobs created in the entire economy during that period. Complete results of the Inc. 5000 can be found at www.inc.com/inc5000.